The historic cities of Kyoto and Nara are two of the most visited in Japan, and home to numerous UNESCO-listed monuments. This full-day tour from Osaka explores both in one day and visits some of the most popular sights. 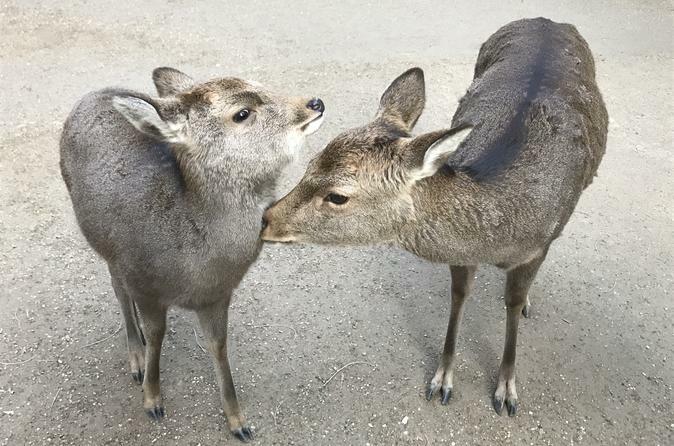 Admire the Todai-ji Temple and watch the wild deer in Nara Park, then continue to Kyoto to visit Heian Jingu Shrine and stroll around the Gion geisha district.